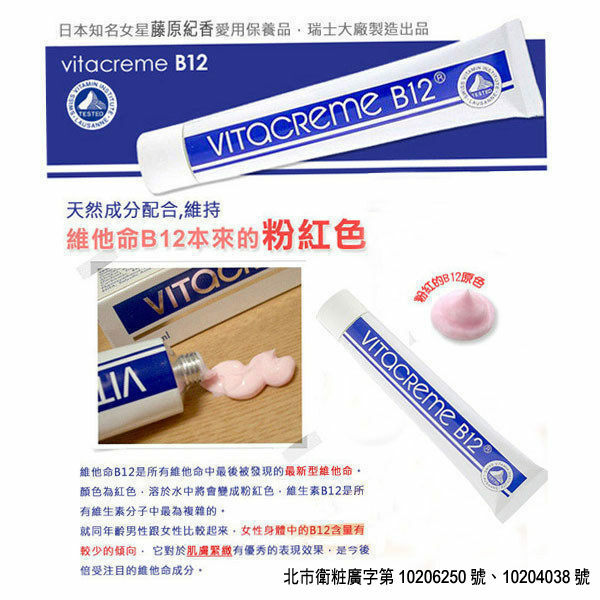 Every morning and evening, apply on thoroughly cleansed and toned face and neck. Massage with delicate circular movements until complete absorption. 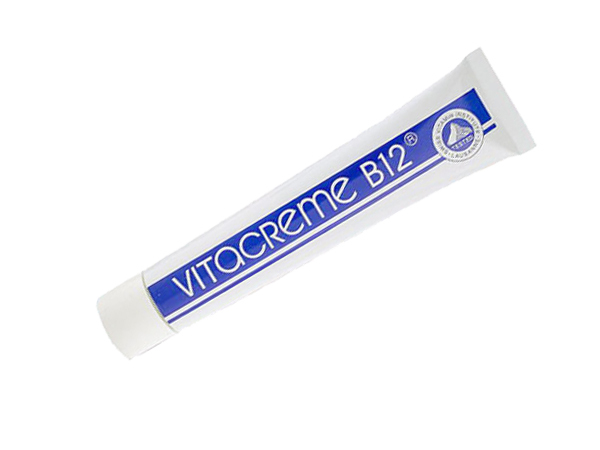 For an intensive eadiant programme, apply before the ANTI-AGEING SERUM of the Vitacreme B12 skincare line. 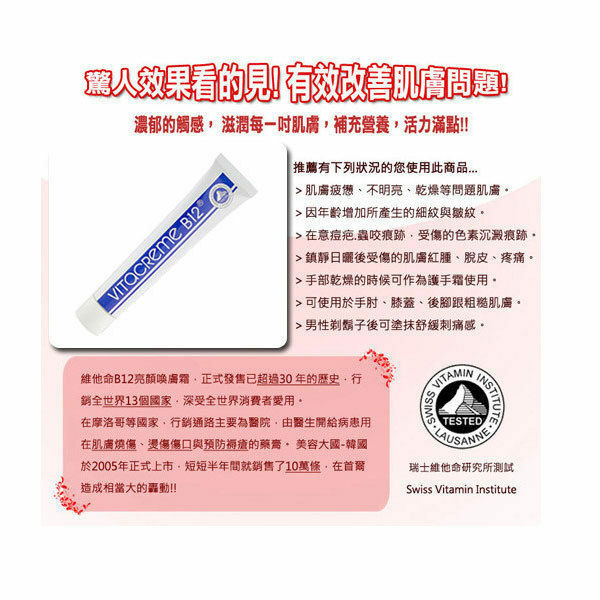 Water (Aqua), Caprylic/Capric Triglyceride, Octyldodecanol, Glyceryl Stearate, Corn (Zea Mys) Oil, Cetearyl Alcohol, Glycerin Propylene Glycol, Steareth-20, Steareth-2, Salicylic Acid, Cyanocobalamin, Allantoin, Dimethicone, Benzyl Salicylate, Linalool, Limonene, Benzyl Benzoate, Butylphenyl Methylpropional, Geraniol, Citronellol, Citral, Coumarin, Hydroxyisohexyl 3-Cyclohexene Carboxaldehyde.